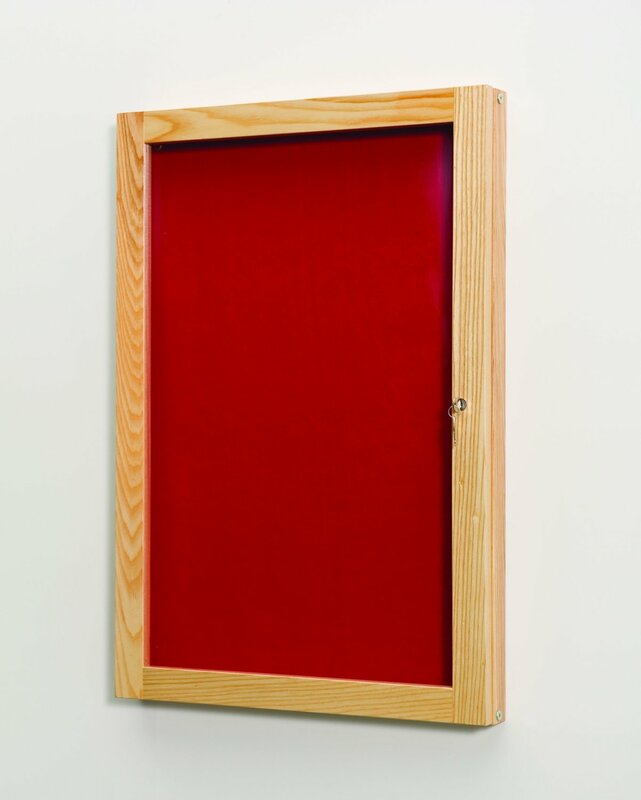 Constructed in solid beech, these hand crafted cabinets provide a quality feature for displaying your information. Using wood from sustainable, managed sources the cabinets are available in single or double door locking versions. Fire rated felt finish with polycarbonate doors with an internal clearance of 50mm. Single door models can be fixed either “portrait” style or “landscape” and door is hinged to the long edge. Twin door models can only be fitted “landscape”. Fire rated felt finish is available in four colours. Single or double locking door versions.